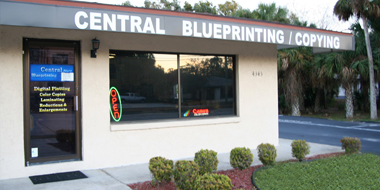 Central Blueprinting has been serving Central Florida as a local family owned and operated business for over 30 years. You can trust Central Blueprinting to get your job done right with a quick response and turn around time. Our experienced staff is committed to excellence and delivering quality products to suit all of your printing needs. 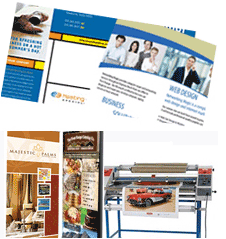 It is our priority to be your #1 printing source from business cards to posters, banners, photos, custom memo pads and much more. Our Blueprint service offers hassle free printing and archiving of your documents. Archived documents are held in our database for quick and easy reproduction for you and your subs. Select the button below to go to our Client Upload page. Upload your documents to be printed and request time needed to pick up. Like us on Facebook and keep up-to-date on our latest happenings! Click here for contact information, map and document upload page. Design your own stamps for address, signatures and dates. © 2019 Central Blueprinting, Inc. All rights reserved.